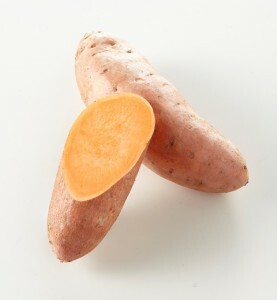 Sweet potatoes come in different shapes and colors, from the outside as well as from the inside. Their Skin ranges between shades of creamy white, yellow-orange, tan, reddish-purple and red. 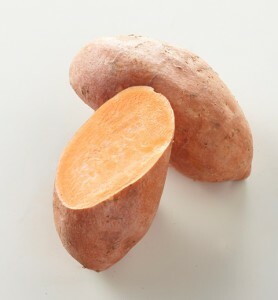 Sweet potato flesh varies from orange to yellow-orange, white, purple and red. 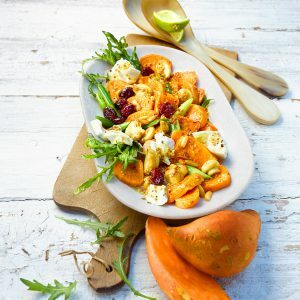 The orange fleshed varieties are most common in the USA and Europe; the white fleshed are more popular in the Asian and Arabic kitchen. 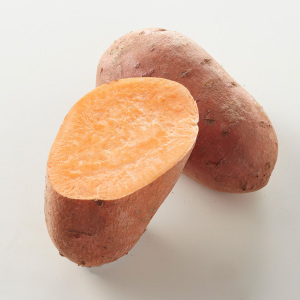 There are more than 1,000 different sweet potato varieties in the world. The most common variety imported from the U.S. to Europe is Covington, but also Beauregard and Orleans are very well known.